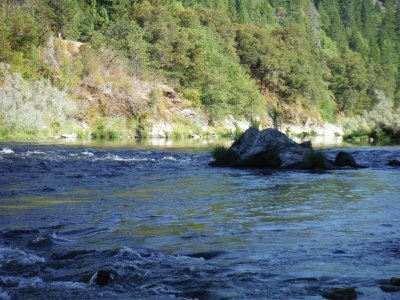 Over the many years, we have discovered that the Klamath River and its tributaries in northern California are very much like a huge bank. But this is better than most or all other banks; because our members have the opportunity to make withdraws anytime they desire – just by investing some effort. We don’t withdraw paper money from the Klamath National. We withdraw pure wealth; gold; the universal currency, which lasts forever and can be exchanged for paper money, goods or services anywhere in the world. We make so much of the Klamath and its tributaries available to our members; I am estimating the Klamath National has to be the largest bank in the world! With no liabilities on its balance sheet, it also may be the most valuable bank in the world. The key to making draws from the bank is in knowing how to prospect for gold. 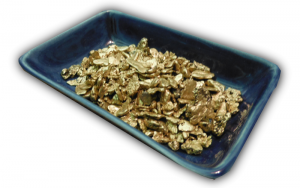 High-grade gold deposits are present in great abundance. But they are mostly, but not always, hidden by streambed material which lies on top of them. The way to find them is by following a very simple sampling plan. Because gold is so heavy, nearly 20 times heavier than water, it follows distinct patterns when being washed down the waterways by very large storms which occasionally happen over extended periods of time. 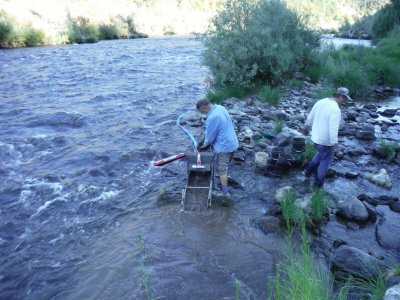 Said another way, perhaps 90% or more of the Klamath River will not produce high-grade gold. By “high-grade,” I mean the concentrated deposits which, when found, will deliver up enough pure wealth to fill up containers, drive your emotions into exhilaration and beyond, and change your life forever. The reason 90% or more of the river has no high-grade is that Mother Nature has already concentrated nearly all of the gold along a very defined narrow path. This is a blessing to gold prospectors; because once you know how to pursue a sampling plan, you are able to draw pure wealth from The Bank anytime you desire. All the way back in our beginning year of 1986, we quickly realized that most new members joining The New 49’ers were not aware of how to sample. I compensated for this by going out and sampling on behalf of all members and putting them right into the high-grade. Success levels were so good in 1986 that we grew from 100 members to 500 members at the beginning of our 1987 season. That was a huge expansion! But I was not able to sample for so many people. So we started doing Weekend Group Mining Projects. 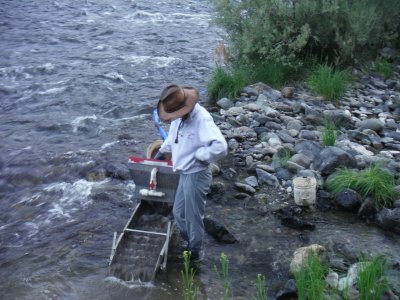 These combine the theory of following a sampling plan with some real mining experience in the field. Everyone shares in the gold we recover on these projects. 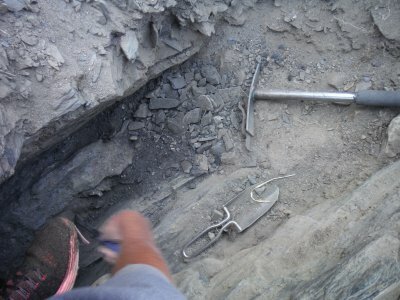 This was painful to members at first, because it was easier for them if I did the sampling and they mined the high-grade gold. But eventually our more aggressive members began finding high-grade gold deposits on their own. This encouraged others, and our association then expanded upon the principle that prospectors should be able to find their own gold. If you can find and keep your own gold anytime you desire, you are largely free from economic and political consequences however which way they trend! We have used these group projects as the primary successful action in our business model now for 30 years and have grown to around 2,000 active members. For the very low cost of belonging to The New 49’ers, and all of the mining property we make available, along with the other benefits members receive, I am somewhat surprised we have not grown to 20,000 members or more. This particular weekend project started with 76 enthusiastic members. That included a dozen or so experienced volunteer members who nearly always attend these events to help others through the early learning curve and just be part be part of the group adventure. We could not do these projects without them. We always begin on Saturday morning at the Grange Hall in Happy Camp with introductions. These are fun and interesting. People come from all walks of life, from all over the world. I then entertain the group during the morning hours with a mix of story-telling and theory about how to discover high-grade gold by following a simple step-by-step plan. After lunch on this Saturday afternoon, we met back at our headquarters and drove down to Wingate Bar, which is about nine miles downstream from Happy Camp. 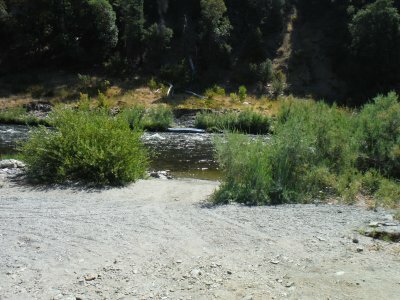 The gold deposit we have been working down there is directly across the river from a developed river access. There is plenty of free parking and camping there. One of our large rubber rafts was set up on the other side of the river as an easy transition for members to get onto solid ground. Using my jet boat, it did not take long to get everyone on the other side. Since we were already sampling in a confirmed high-grade pay-streak, many or most of the gold pan results were quite favorable. We make it a point to show the better pan results around. This helps to encourage others who are not finding as much. It also will allow participants to relate how the pan samples will evolve into a bunch of gold when we go into production on Sunday. 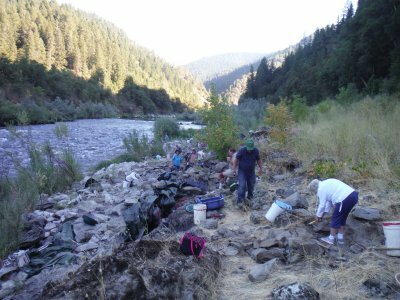 I was seeing some very nice-sized golden flakes being recovered off the bedrock and from within a layer of original Klamath River streambed under the boulders which were resting on the surface. 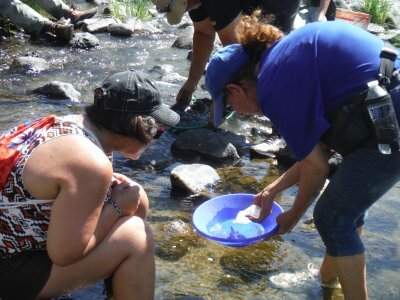 Each person gets to keep all the gold they find while panning on Saturday afternoon. One of the guys who was turning up the best results was out in the river with mask & snorkel scooping up material and passing it off to others who were processing it. He told me he was actually seeing gold down on the bedrock. 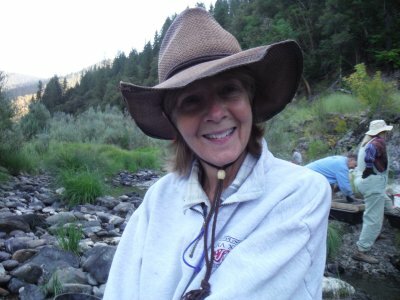 Crevicing gold in the river, too! That's what we want to find! It was hot out there on the rocks, so we only stayed for a few hours. Our Saturday potluck was a full house that evening. There was more than enough great food to go around; and the positive energy we were all sharing was very refreshing. 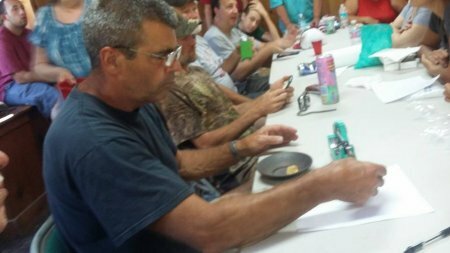 Our potlucks are much more like a big friendly reunion, rather than a miner’s meeting! We added a second sluicing system; because on the project before, the digging team produced more pay-dirt than we had the capacity to process. That’s called enthusiasm, folks! The second sluice was something that longtime member, Bob Patterson, came up with by running an extended line of hose and plastic pipe up the river to capture water and create enough pressure to lift it up into his sluice box. This second system appeared to be working really well and allowed us to process at least a third more volume than on the previous project. Each of our volunteers, staff and I have our separate rolls to play during these projects. I entertain and educate people on Saturday morning, do most of the boat transfers, capture video and images, and direct the final gold clean-up and split on Sunday afternoon. John Rose is overall in charge of the project. He particularly makes sure the gold recovery system(s) are dialed in. Dickey Melton makes sure the primary recovery system is being fed at optimum speed without overloading it. This is a delicate balance. Craig Colt, Derek Eimer and Dave Mackenzie are the primary sampling team. It is mostly their job to point the digging crew at the most productive places we can find. 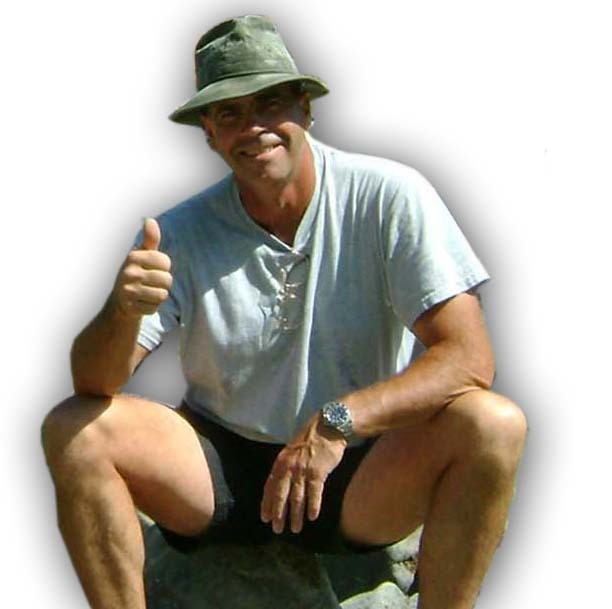 Mark Turner is very helpful in making sure the boat transfers of people are smooth and safe. Once the digging starts, he sets a good pace which others try to match. Alice Mackenzie supervises the screening program and flow of classified pay-dirt to the recovery system. Diane Helgesen is an overall problem solver and usually takes over the camera when I am busy doing something else or want to explain something on camera. “Wild Bill” helps out with getting the work done and always contributes to make our projects fun in a colorful way. Laura Bagley is the “Gold Girl.” This is one of the most important responsibilities on the project. She makes sure that all of the gold we recover on Sunday goes directly into a bucket with a sealed lid – which never leaves her side – even when she jumps in with the crew and helps increase production. The bucket is safeguarded until it is passed off to me just before it is time to switch to the final cleanup. Diane Pierce sets up the Grange Hall for Saturday morning, potluck on Saturday evening, and helps out with the final cleanup and split on Sunday afternoon. Other volunteers jump in wherever it will benefit the final outcome. 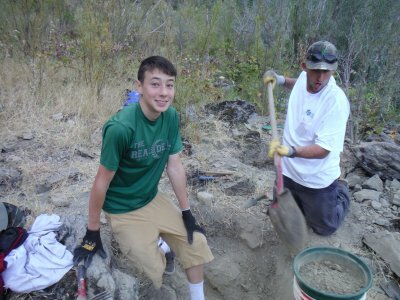 As soon as the sun came up over the mountain to begin the heat of the day out on the rocks, we asked everyone to finish filling the buckets they were working on, reclaim the area back to original contours, and gather up all the gear. The gold looked plentiful in both recovery systems as we cleaned them out. In addition to a dazzling display of fines and golden flakes, there were some very desirable nuggets of pure wealth. The “Gild Girl” was right there with her bucket doing her job to make sure every speck of gold was safe and secure. Don’t ever mess with Laura Bagley! It didn’t take long to get everyone back across the river. Even my boat was back on its trailer by about 11 AM. After giving everyone some time to freshen up, we met back at the Grange on Sunday afternoon to perform the final cleanup and gold split. By “final cleanup,” I mean that gold recovery systems don’t only recover gold. They also recover other heavy material which is mostly small iron stones and heavy sand. We use several smaller concentrating devices to reduce the volume of “impurities,” and then dry the semifinal concentrated material. 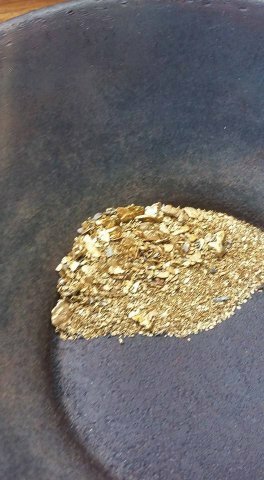 This consists of all the gold we recovered and about two tablespoons of the heaviest iron sand. Then we screen that material into 6 different sizes and use a mild blowing process to separate the gold from the iron. Everybody gets to watch. 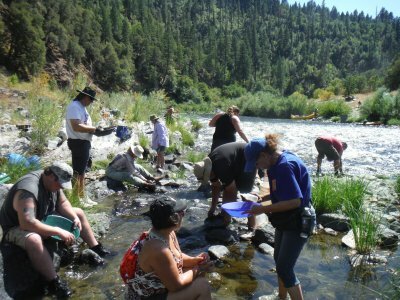 This is very valuable experience for participants who will move forward with their own gold prospecting programs. As always, the closer we got to having just raw gold in the final container, the louder the enthusiastic roar of conversations became. Having been involved with these group gold mining projects now for 30 years, I have come to realize that when we are just reaching the point of having all of our raw gold together and ready to split, the group emotional impact is much like an explosion of euphoria. This time, the noise was almost deafening. I placed the final gold in a small finishing pan over on a window pane so everyone could capture images. The moment was priceless to me –to be able to bring happiness to so many people. Gold is a very precious substance. It is the single material element in this world that triggers an emotional experience of personal freedom. If you have enough gold set aside in a safe place (it doesn’t take much), and you stay out of trouble with the authorities, you can largely free yourself of nearly all the social and political worries that keep most human beings trapped in a constant state of worry and uncertainty. Everyone that participates in these projects experiences the spark of this freedom as we uncover the pure wealth we recovered together and present everyone with an equal share. In all, we recovered 404 grains, or 16.8 pennyweights. That was more than ¾ of an ounce. It wasn’t the full ounce we were pushing for. But it was a heck of a lot of gold! Everyone seemed more than pleased as they received their fair share of a draw from the Klamath National Bank. The project was over at about 5 PM on Sunday afternoon. I went home feeling very lucky about the work I do. While I prefer to stay out of politics, I feel an important duty to make a recommendation in the upcoming presidential election. Please vote for Donald Trump. To those of you who do not like his presentation, allow me to suggest that he has no prior experience in politics. Most Americans do not like the way the country is trending. While I admit that Trump is a bit of a wild card, it is 100% certain that Hilary will take us down the very same road America has been trending for a very long time. Trump’s background is in business. He says the first thing he would do as our president is free up America’s energy and mining industries. Hilary will most certainly pile more burdensome regulation on top of us. Just as importantly, we have invested so much in legal battles to defend the small-scale miner over the past eight years. While we have won most of these battles, the California Supreme Court recently handed us a stunning defeat in the Rinehart case; a case which was so much in our favor. Our last opportunity to set things right will be in the U.S. Supreme Court. Most people know that the Supreme Court is presently deadlocked with four conservative judges who support resource development, and four liberal judges who support more government interference at all levels of American life. Whoever is elected president will appoint the ninth Supreme Court justice. Hilary would certainly appoint a far left liberal justice. From there, we can expect to experience America sliding deeper into socialism or worse. Trump has published a list of conservative judges he would choose from. Therefore, the fate of our industry largely hangs in the balance of the presidential election that will take place in about a month. The future of America also hangs in the balance. This should not be about who makes a more emotional-friendly presentation. It should be about what the person is going to do when he or she gets into office. No matter how offensive Trump may be to some people, he is America’s only chance to turn things around at this time. Here, listen to what Judge Jeanine Pirro has to say about Hilary and Trump; she is much more qualified than I am to voice a political opinion! How About More Group Projects This Next Season? Because the The New 49’ers have the resources to support group projects with boats, rafts, floating recovery systems and perhaps even a non-motorized underwater suction system in a high-grade pay-streak, we would appreciate your thoughts on how we might provide more or better service to our members? Thanks to those of you who already voiced ideas about this since our September newsletter. I would like to hear more ideas before we decide what to do. 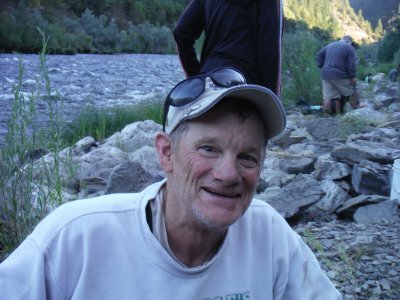 Several members did quite well this season using motorized hookah to access the bottom of the Klamath and side streams for crevicing. 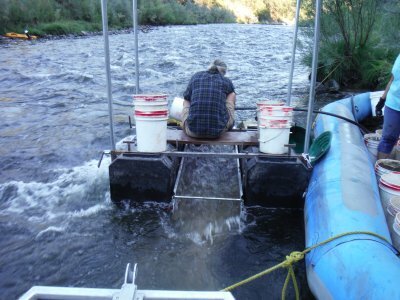 Using our boats and other gear, we could sponsor group projects doing this with a limited number of members at a time. As members gain more exposure to these other methods of finding gold, it will be easier for you to find success on your own. We found ourselves in a similar situation during the first few years after we started The New 49’ers in 1986. 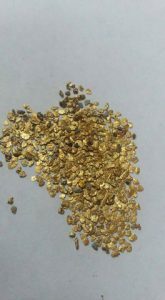 Most members did not know how to find high-grade gold on their own. There was a lot of disappointment. We almost didn’t survive those early years. Then we started group programs to show our members how to do it. This turned everything around. 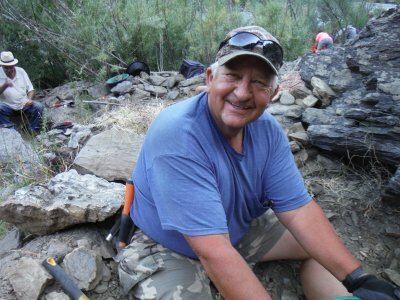 Hope of finding gold is what drives prospectors to sample. It was easier for individual members to be more productive going out on their own before we lost the use of motors (California Supreme Court). We will appeal our loss of motors to the U.S. Supreme Court if Donald Trump wins the election. Meanwhile, I’m suggesting that we might be able to keep interest levels up if we utilize the Club’s more substantial resources and volunteers to offer more, and different kinds, of organized group events? Your feedback and ideas on this would be appreciated. Please direct it to: new49ers@goldgold.com or call Montine in our office at 530 493-2012.